The all-new 2015 Dodge Challenger has earned a five-star overall safety rating from the U.S. National Highway Traffic Safety Administration (NHTSA). Five stars is the highest possible safety rating given by NHTSA. “The new Dodge Challenger coupe further demonstrates our commitment to broaden the proliferation of advanced safety technologies, such as driver-assist features,” says Scott Kunselman, Senior Vice President-Vehicle Safety and Regulatory, FCA-North America. In its assessment of the new Challenger, NHTSA notes the availability of Forward Collision Warning (FCW), which features forward-facing sensors programmed to detect the potential for certain types of frontal collisions. If detected, the driver is alerted with visual and audible warnings. 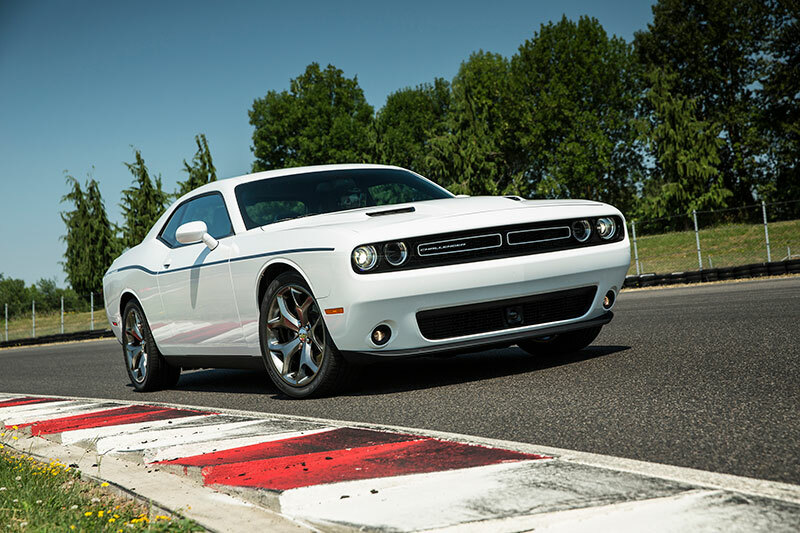 The 2015 Dodge Challenger is the only car in its segment with such capability. FCW is among more than 70 available safety and security features on the 2015 Dodge Challenger. Others include Blind-Spot Monitoring and Rear Cross-Path Detection, which was pioneered by FCA US LLC. Among the individual crash-tests in which the Challenger scored five stars were front- and side-impacts. And it does so for $26,995, excluding tax, destination and title. Significant new technology upgrades such as the all-new Uconnect Access system with standard touchscreen, standard new 7-inch multi-view TFT gauge cluster, new performance electronic shifter, Keyless Enter ‘n Go with push-button start. Last month, the Challenger recorded its best-ever November sales total with 4,157 deliveries. That’s a 52-percent jump compared with the same month in 2013.